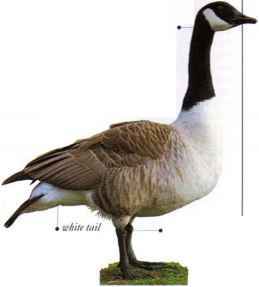 short, strong legs white "chin strap "
Mainly dark, with white markings on the face and breast, this goose is becoming increasingly common. Originally a bird that lived mainly in tundra and prairie grassland, it has become more willing in recent decades to explore new breeding areas. Canada Geese have expanded into freshwater sites in woodland and have multiplied in towns, where their diet of grass and other low-growing plants is always available. Flocks fly in V formation, often not far above the ground, uttering loud, honking calls. • NEST A natural hollow in dry ground close to water, lined with grass, down, and a few feathers. 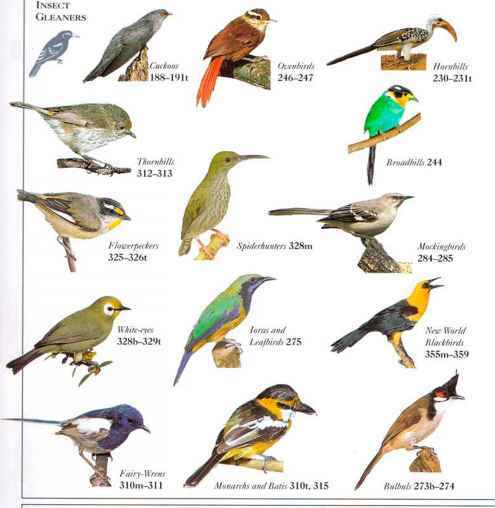 • Distribution Breeds throughout N. America and in K. Siberia. Winters as far south as New Mexico, E. China, and Japan. • Remark There are several subspecies, some little larger than a Mallard (seep. 19).